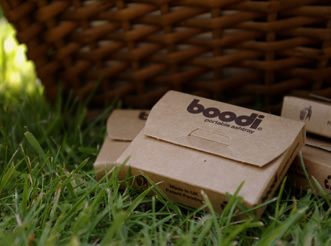 To use the boodi portable ashtray, you simply open it, place a lit cigarette into one of the five tubes and then close the portable ashtray. 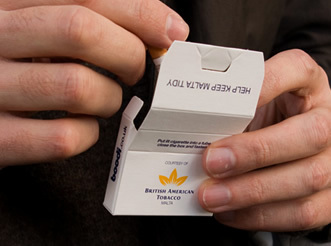 By placing a lit cigarette into a tube, you are effectively extinguishing it/ snuffing it out, which happens in seconds. The diameter and length of the tubes are important. Through tests we were able to determine which tube size performed the best. 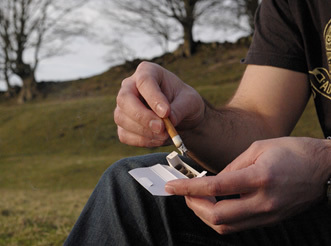 When you place a lit cigarette into one of the tubes, it is quickly extinguished. The fire triangle (below) displays the three elements that are needed to keep a fire (or lit cigarette) burning. These are Fuel, Oxygen and Heat. If you take any of one these three elements away a fire, or in this case a burning cigarette, will stop burning. Oxygen is quickly removed when a lit cigarette is placed inside one of the tubes. The cigarette is smothered and is instantly snuffed out. Its ability to quickly extinguish cigarettes is the result of many months designing and testing. 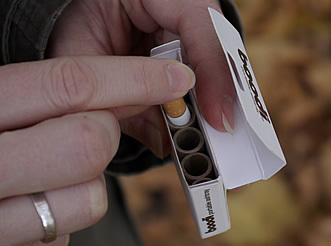 To see the boodi portable ashtray in action, view the videos (right). If you have any questions, please do not hesitate to contact us.